Jenny from the Block Returns! 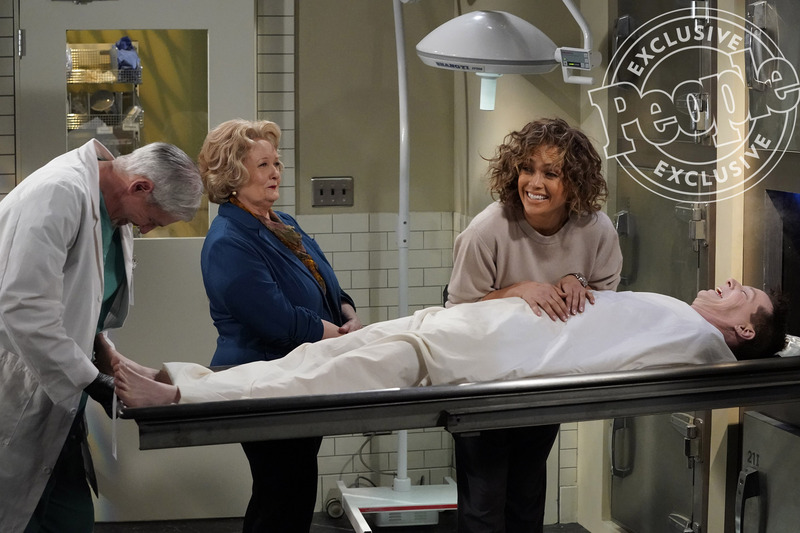 See Jennifer Lopez's Upcoming Will & Grace Cameo - Integration Through Media ....! Jennifer Lopez is doing double duty. The multi-talented performer will make a guest appearance on NBC’s Will & Grace revival next month when she appears as both herself and her Shades of Blue character (Det. Harlee Santos) — and PEOPLE has the behind-the-scenes first look! In the episode, titled “Sweatshop Annie & the Annoying Baby Shower,” a baby shower makes Grace (Debra Messing) and Will (Eric McCormack) question their life choices. Karen (Megan Mullally) and Jack (Sean Hayes) will also make audiences laugh by finding a way to combine child labor with musical theater. Leigh-Allyn Baker is also set to guest-star in the episode. Lopez, 48, first appeared in 2004 on the original series — it ended its initial eight-season run in May 2006 — as herself on the hour-long season finale of Will & Grace, in which she sang at the Vegas wedding of Mullally’s Karen. The episode airs March 8 at 9 p.m. ET on NBC.